A|X Armani Exchange x It's Not Her, It's Me. You are invited!!! I am hosting a Spring cocktail shopping event at Armani Exchange in Valley Fair, San Jose this Thursday from 6-8pm! 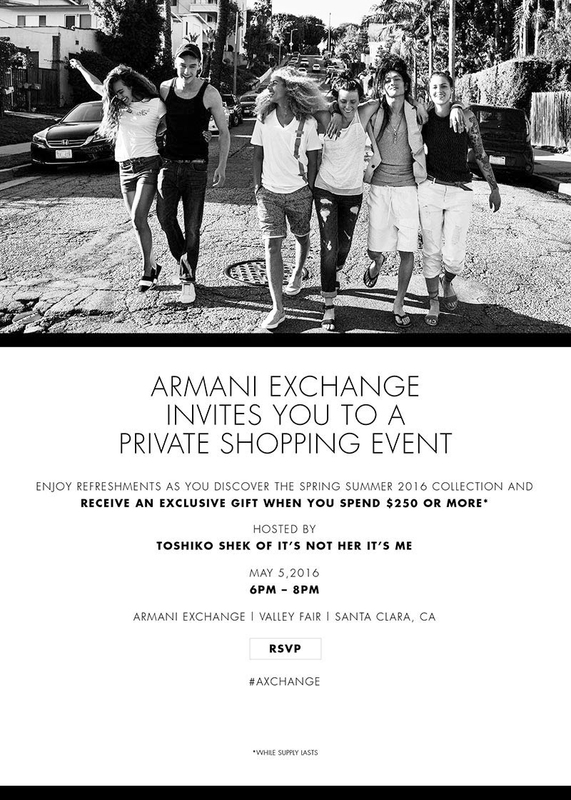 Come hang out with me, enjoy some refreshments, and check out Armani Exchange's new Spring and Summer Collection! 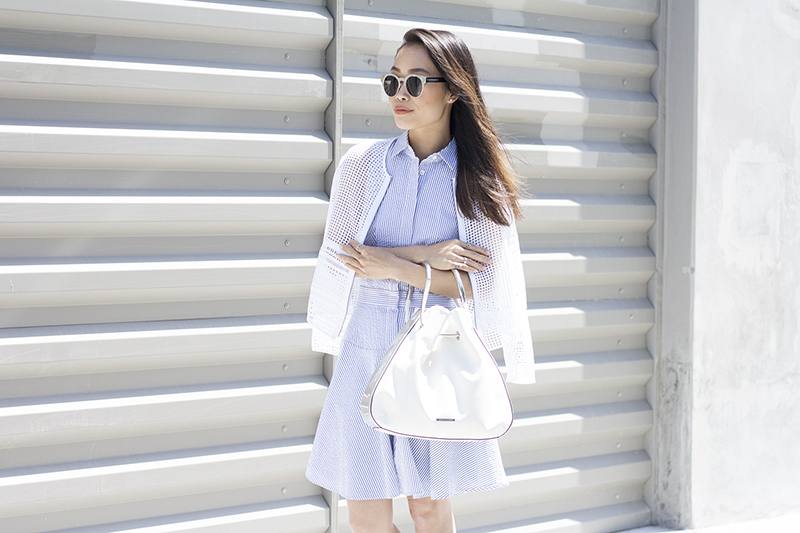 Here, I am wearing some of my favorite pieces... a chambray seersucker shirtdress which fits like a dream, a lovely lace jacket, and a versatile drawstring bucket styled bag with metallic silver details! 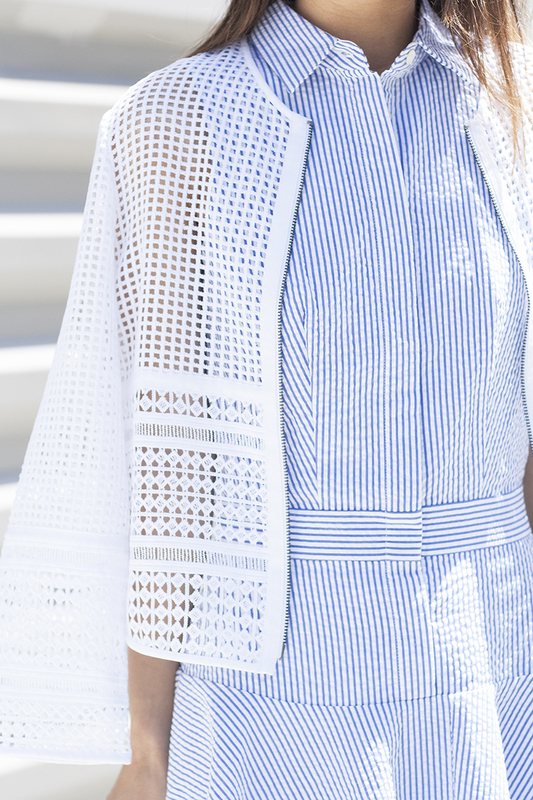 This outfit makes me feel fresh and totally ready for Summer! RSVP with me or by simply emailing axvalleyfair@giorgioarmani.com! See you there! 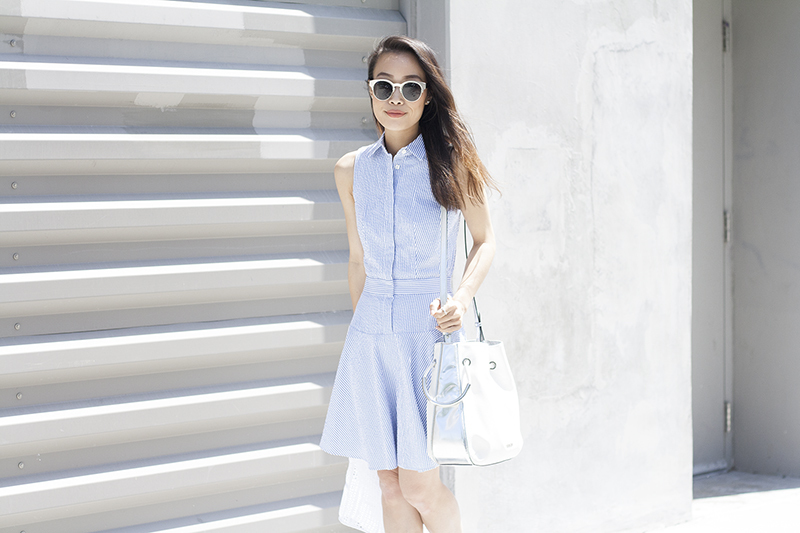 Chambray seersucker dress c/o Armani Exchange. 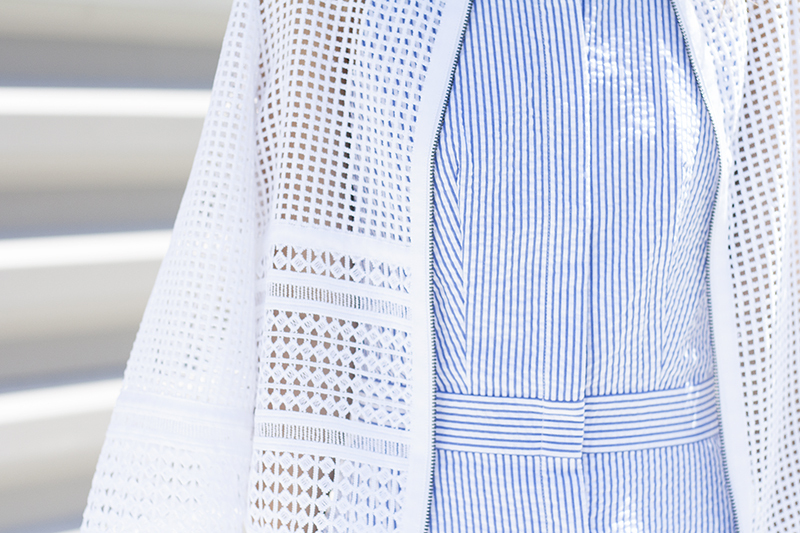 Lace jacket (coming soon) c/o Armani Exchange. Pebble drawstring bag (coming soon) c/o Armani Exchange. What a lovely look! The dress is so pretty!